Sister time! 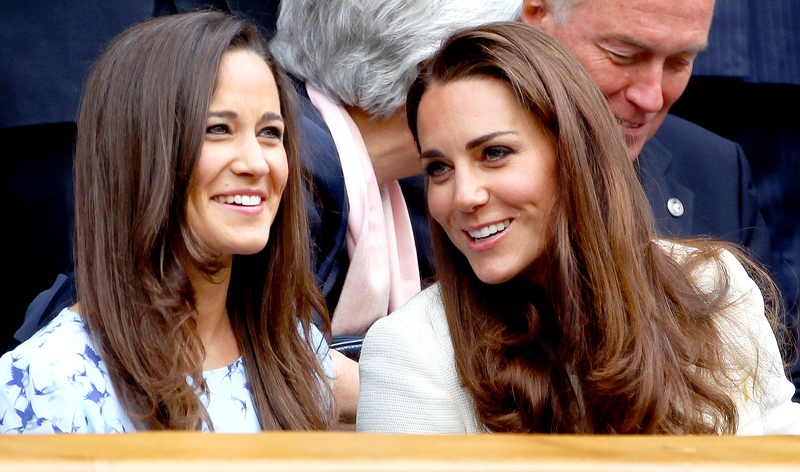 Pippa Middleton has been “regularly” visiting Duchess Kate, who is pregnant with her third child, at Kensington Palace in London, a source exclusively tells Us Weekly. Their mother, Carole Middleton, also paid a visit to the Duchess of Cambridge, 35. She was spotted leaving the royal residence in a black Land Rover on Monday, September 4, after spending an afternoon with her eldest daughter, who is battling hyperemesis gravidarum, the same acute morning sickness she experienced while pregnant with Prince George, 4, and Princess Charlotte, 2. Us Weekly exclusively revealed that the soon-to-be mom of three is 11 weeks into her pregnancy. “They’ve known for a while and didn’t particularly want to announce it before the 12-week mark, but due to having to cancel an engagement on Monday, they thought it was best to be honest about the situation,” a source close to the Duke and Duchess of Cambridge exclusively told Us. For more details on Kate’s pregnancy, pick up the latest issue of Us Weekly, on stands now!